I’m not a fan of Valentine’s Day. I don’t want the one I love to have to be reminded of me just one day out of the year. I’m a bit of a diva like that. I was perusing through a website for some stockings over the weekend to spice up a few outfits and found way more than I bargained for. It’s fun to have your own style and be a little different, and that can just make any girl’s day. I was a whole different kind of hot this morning though. I seem to have trended back to the sleepless night and my body finally gave in at 2AM, though my alarm was sure to be consistent with the 3:45 wake up call. I put on the normal layers of clothes expecting a chilly bite to the air as I stepped out the door for my run, but was instead greeted by a somewhat mild morning. Huh? I thought the high was only supposed to be 35 today and it felt like it was at least 25 degrees already. What an unexpected surprise! I’m a lush for unexpected surprises. I ran my first two mile loop and realized I was just flat out roasting in all of my layers so I ran up the driveway to the house and ditched half of them. I felt like a new girl! My legs could actually move and running felt so easy. I had forgotten what it felt like to run when my legs were free from layers of clothes and I could get some decent strides in. It’s amazing the difference a few degrees can make (and the lack of gusty winds for a change). I was able to clear my head and even opted for a new route. The moon was reflecting off the clouds and the fog bounced light in every direction. There was nothing phenomenal about my run other than my feet actually making contact to pavement because enough snow had melted, I finally felt warm on a winter run, and I was running a new route. I guess that’s the power of love ~ no matter how harsh and brutal the long run was this weekend I was granted a morning of sheer running bliss. It’s a give and take relationship with running. Sometimes it takes everything out of you and sometimes it gives you more than you bargained for. You are a running Goddess. I SO enjoyed this read. And yes, you ARE a running Goddess! 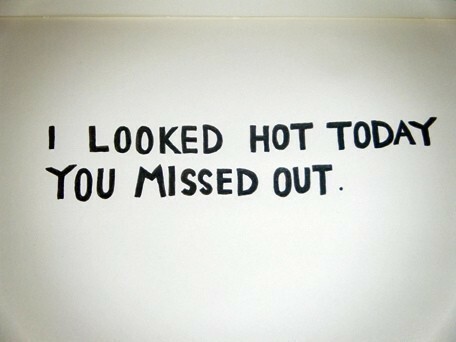 And for the record, I never miss out on how hot you look. NEVER.